Every KDE Application potentielly has a ThreadWeaver job queue - but how can it be used? And is it complicated? What does ThreadWeaver offer, besides a cool name? And what techniques have the best effect on the snappiness that the user experiences? By looking at example programs, it will be discussed how certain operations can be taken out of the user-visible critical path of an application. Or how logical preparation and GUI operations can be decoupled. The topics should be interesting for active KDE application developers and a general audience alike. 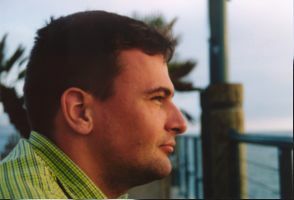 Mirko Boehm is a KDE developer since 1997. For KDE 4, he developed ThreadWeaver, the easy-to-use toolkit for concurrent programming. From 1999 to 2006, Mirko Boehm was a member of the KDE e.V. board. In real life, he is a Senior Software Engineer at KDAB.